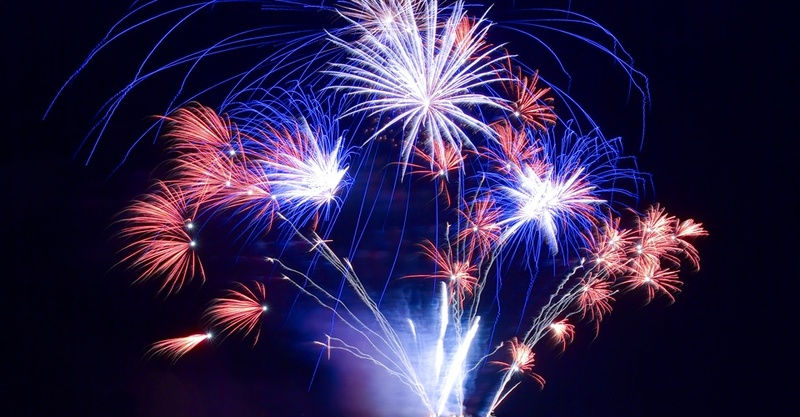 While the breathtaking, sky-filling displays will be left to the professionals, millions of Americans will celebrate the upcoming Independence Day holiday with purchased fireworks right in their own backyards. And that can lead to injuries. In 2014, U.S. hospital emergency rooms treated an estimated 10,500 people for fireworks related injuries; 51% of those injuries were to the extremities and 38% were to the head. The risk of fireworks injury is highest between the ages of 5-19. More than one-quarter (28%) of fires started by fireworks in 2009-2013 were reported on July 4th, and almost half (47%) of the reported fires on July 4th were started by fireworks. Please be safe this July 4th; we want to see you all again, safe and sound, when it’s time for New Year’s Eve fireworks shows at the end of the year. In observance of the holiday, our offices will be closed on July 3 and 4, 2017. You may place orders online at any time; please note that orders placed after noon, Pacific Time on July 3 will not ship until July 5, 2017.